It is an honor to chair the College Dean’s Advisory Board and to work with administrators and students alike to improve the College of Arts and Sciences. The College represents a diverse range of interests, and we leverage this strength in differences to approach student issues from multiple directions. Ultimately, we hope to continue facilitating a productive dialogue between the College Office and the student body. To this end, we welcome you to reach out at any time with thoughts as to how we can be of service. DAB is a voice for you! DAB focuses on connecting College students with the administration, so we work on identifying solutions students want to see implemented. We conduct surveys, post flyers, and hold forums to get feedback from students. Last semester, we surveyed freshmen about major advising and the entire college about study space availability. We hope to work on the ideas we collect to make sure we address students’ concerns. If you have any suggestions, please fill out our form. Over the past two semesters, we created a new writing seminar that aims to synthesize Penn’s Critical Writing requirement with ABCS community service courses through the Netter Center. This new partnership would further Penn’s mission of creating widespread community outreach opportunities and expand the critical writing program to include an out-of-class “active learning” component, while giving students an opportunity to explore the Netter center offerings. Our committee worked very closely with all the relevant actors, such as Dr. Ira Harkavy of the Netter Center and Dr. Valerie Ross of the Critical Writing Program and are in the final stages of planning the details of the course. It will be available for students in the Fall! College Connection is a program to connect freshmen interested in doing research with juniors who are actively in a lab. Getting started with research can be tough, so this initiative is meant to offer freshman a valuable resource to learn about the process of finding research positions. Last semester we worked on contacting interested freshmen and juniors. This semester we had our first meetings between freshmen and juniors and are facilitating freshmen involvement in a lab. This initiative started in Spring 2015 and aims to create a new committee in the College Study Abroad Office that has more participation from undergraduate students. The committee is based on the notion that current Study Abroad decisions are made with little student input, leading to some dissatisfaction among students around the process by which students apply and are accepted to certain programs. This committee is dedicated to the planning of College Palooza, an annual fair on College Green that celebrates the talent, diversity, and accomplishments of the College of Arts and Sciences. College Palooza showcases the dynamism and depth of a liberal arts education with a day full of performances, 60 second lectures by College faculty, and booths from over 40 departments. College Palooza is held to unite students and faculty under a common College identity. It is also an opportunity for departments, faculty, and students can present their interests and talents in a public forum. 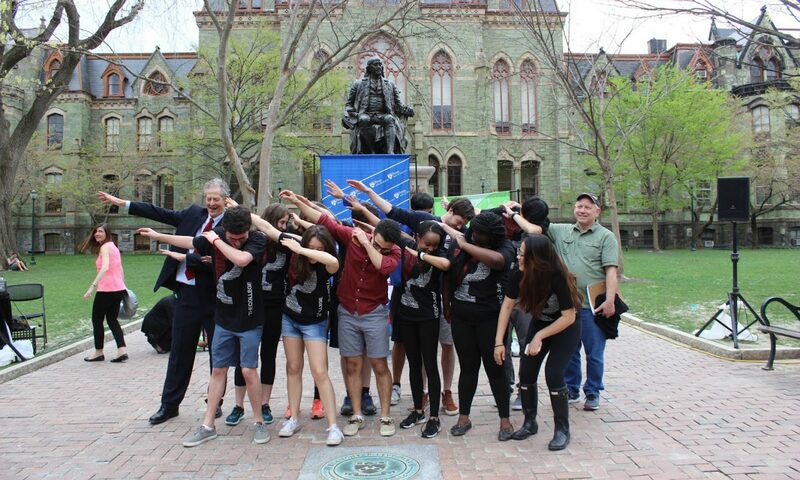 This year, we had the honor of holding College Palooza during the new Quaker Days preview for admitted Penn students. “Deconstructing the Penn Face” was a one-time panel event held in the week before reading days in December 2014. The panel was made up of upperclassmen and the event was marketed to freshmen. The panel discussion focused on questions that allowed upperclassmen to share their stories about stressful experiences at Penn, as well as share advice for coping with academic, extracurricular, and social stress that damages mental wellbeing. Overall, the event was successful in drawing many interested students, and garnered positive feedback from audience members, panel participants, and Penn faculty. We plan to have the event again in the future! This committee started in Spring 2015 and aims to create a series of faculty debates on campus. The debates will be completely free for students and will pin two prominent faculty members head-to-head on prevalent topics. The first debate is tentatively scheduled for Fall 2015. This committee was formed in Spring 2015 and aims to form a new Penn-wide Mental Health Day to promote awareness and understanding of mental health issues. The Day is meant to spur partnership between the University and various mental health organizations on campus and would include presentations, as well as games and food. Event date TBD. This committee aims to improve the process by which students are paired with their pre-major advisors by attempting to pinpoint the services and resources that students seek the most from their advisors. The committee was based on the notion that there exists a gap of communication between pre-major advisors and advisees, which may partially lead to some of the dissatisfaction experienced by some students. The survey has just been completed and will be sent out as a pilot run. to 500 students We hope that the survey serves to fill up this gap, by bridging two sides, meanwhile providing valuable information about the current pre-major advising as a whole. 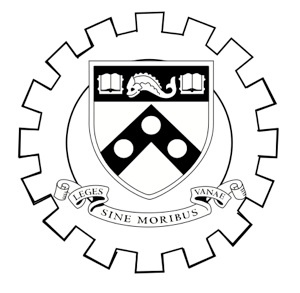 This committee was created in response to realized lack of large-scale unified service opportunities specifically for College students at Penn. Committee members worked with various service organizations on campus to organize logistics of one-day service projects in the Philadelphia area. This event was launched successfully and gave College students the chance to engage civically with our urban community in a unified way. This committee has been in collaboration with the Center for Teaching and Learning (CTL) to discuss their piloting of a new Course Feedback Initiative. The Initiative seeks to provide professors and faculty members with a platform through which they can elicit feedback throughout the semester, rather than solely through the formal course evaluations conducted at the end of each semester. CTL has rolled out this platform, and this committee is helping them publicize this initiative to both students and faculty over the semester. The committee strongly believes that this type of constructive mid-semester feedback can help foster positive change in realtime and hopes that instructors will begin to make use of this important tool. The Graduation Slideshow committee is responsible for compiling a photo slide show to be shown to parents and students at the College graduation ceremony each year. All photos are generated by students in the College, documenting their past four years at Penn. This committee planned and presented a series of panels in September of 2014 that featured the stories of current College seniors including academic journeys, extracurricular involvements, passions and plans, social niches, and more. Newly arrived College freshmen were invited to the panel events to gain a better understanding of how life in the College at Penn begins and ends up for many students in a very genuine, small-scale discussion format. The panels were a huge success, and we plan to have them again in the Fall! This committee is currently revamping the Student Satisfaction in the Major (SSIM) annual survey that is sent to every student in the College of Arts and Sciences who has declared a major. It asks a number of questions about each major’s courses, programs, and advising system. The results are to be used by the Dean of the College to help determine ways in which departments can improve. Current survey improvements are being made to create a more qualitative analysis of general feeling with respect to the College major.